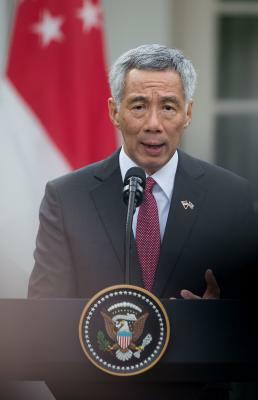 Washington, Oct 24 (IANS) Singapore Prime Minister Lee Hsien Loong has said good ties between the US and China will benefit the region and the world. He made the remarks on Monday in joint statements with US President Donald Trump, who will kick off his first Asia trip next month since assuming the presidency, Xinhua reported. 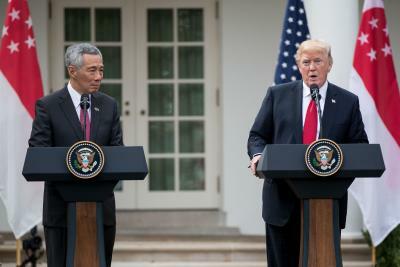 Sound relations between the two big countries will “enable countries in the Asia Pacific, including America and China themselves, to enjoy regional stability, peace and prosperity”, Lee said. The visiting Prime Minister said he also hoped that the US will be able to “maintain a stable and constructive relationship with China, engaging each other at the highest levels, building trust, establishing institutional mechanisms”. “there is no quick and easy solution”. Lee, who is on a six-day visit to the US starting from Saturday, added that “pressure is necessary but so is dialogue”.